Helene was born in New York City on June 11, 1943, and spent the first 5 years of her life living in Flatbush Brooklyn before moving with her family to Lawrence Long Island, NY. 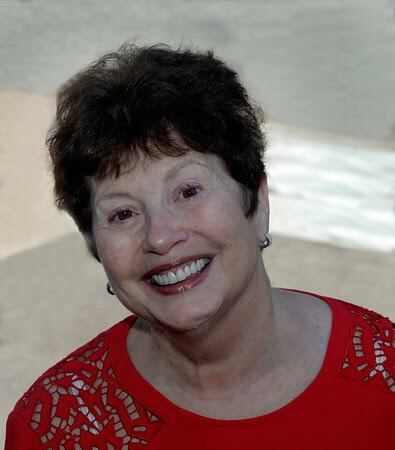 Helene enjoyed a rewarding and wonderful career in teaching elementary general vocal music in the Newton Public Schools, Newton, MA where she raised her daughters, Julie and Emily. Helene has been blessed with gifts of music that she has used to sing, teach, and play the piano. Helene is the great great paternal granddaughter of Salomon Sulzer, a well known 19th century Viennese Cantor, often spoken of as the father of modern chazanut. Salomon Sulzer wrote the music to many of the prayers sung in synagogues all around the world, including Shema Yisrael, Ein Kamocha, Aleinu, Yehalelu Es Shem, Hodo Al Eretz, Torah Service Music, Adon Olam, and Yimloch of the Kedusha. Helene has 5 wonderful grandchildren, Ami and Dalia Epstein , Ayden and Frankie McAllister, and Micaela O'Laughlen. Helene moved to the DC area in June 2008 and continues living a meaningful and purposeful post retirement life by enjoying helping out with the care of Ami and Dalia. Helene also enjoys spending time with Micaela, and she enjoys visits with Ayden and Frankie in California. Since joining the congregation in 2008, Helene has been a regular presence and volunteer at Ohev. Her bright and smiling face can be found volunteering at monthly Jewish Foundation for Group Homes (JFGH) parties, Camp Kibbutz singalongs, and theater productions, as well as attending regular classes, lectures and events. Helene is generous of spirit, overflowing with kindness and always willing to lend a helping hand. Rachel grew up in the Beth Sholom congregation in Potomac, an eclectic, warm community that today is one of Ohev’s strongest sister synagogues. David was born in Tuscon, AZ, and after moving to Boston at age eight got some funny looks when he showed up to shul in a bolo tie and cowboy boots. They are perpetually inspired by their parents’ commitment and dedication to their respective Jewish communities. Rachel teaches at Georgetown University and consults in the areas of mediation and negotiation, and David is a lawyer for a Senate Committee. When not in shul, Rachel and David are chasing their spirited boys, Yedidya, Ami, and Cole. The Milner Gillers' talents can be seen throughout the Ohev community. Rachel heads the Women's Tefillah Committee organizing davening and leyning opportunities for women and girls. She shares her love of music (and her skills on the drums) with our youth programs, musical performances and women's choir. In addition to serving as a regular Baal Tefillah, David helped start the Ohev Cub Scout Pack, served on the inaugural Beltway Vaad Lay Advisory Committee, and advocates for the Shepherd Park neighborhood. They feel so fortunate to live in a place of radical chesed where we celebrate and embrace difference, where the longtime unofficial chazzan is a world-renowned immunologist, and where the Makom founder cultivates future Maharats and statespeople. Although they haven’t yet recovered from the disappearance of the Blairs pool, this is the community of their dreams.